Choose the best PCB design software — only Altium Designer adds nearly 6,000 New users annually. Trade In Your Outdated Design Tool & Unlock 45% OFF Altium Designer today! Significantly improve productivity with all aspects of the design process interconnected, including schematic, PCB, documentation and simulation. Learn and apply Design for Manufacturing (DFM) methodology to ensure your PCB designs are functional, reliable and manufacturable - every time. Easily migrate your legacy information with the most powerful translation tools in the industry — without which our growth wouldn’t be possible. Design rigid-flex in full 3D and confirm that the 3D component, case assembly and PCB clearances meet all mechanical requirements. Easily maneuver objects on the board layout with controlled component placement and complete synchronization between schematic and PCB. Design top-tier electronics faster and more efficiently with hierarchical schematic and design reuse in one cohesive, easy-to-navigate user interface. Experience the elegance of managing your data and preparing it for release with seamless, streamlined documentation capabilities. Experience the latest in high-performance PCB design made easy. 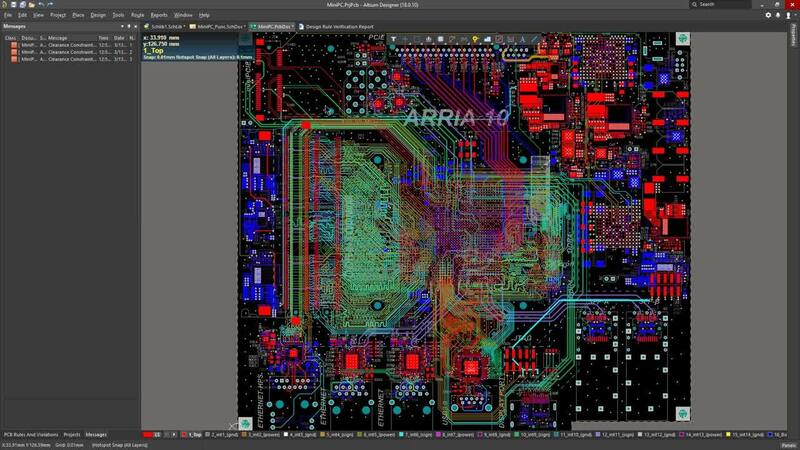 Explore the powerful new capabilities, features and enhancements in Altium Designer 19. Manage any number of your design variants without having to create separate projects or versions of your design. Track your designs, change permissions, and collaborate with Altium Designer's version control system that includes Git and subversion version control (SVN) support. Altium Designer puts flexible and powerful global editing tools at your fingertips. Make changes to all or specific components at once. Versatile selection tools allow you to find, filter and change the components you need, fast. 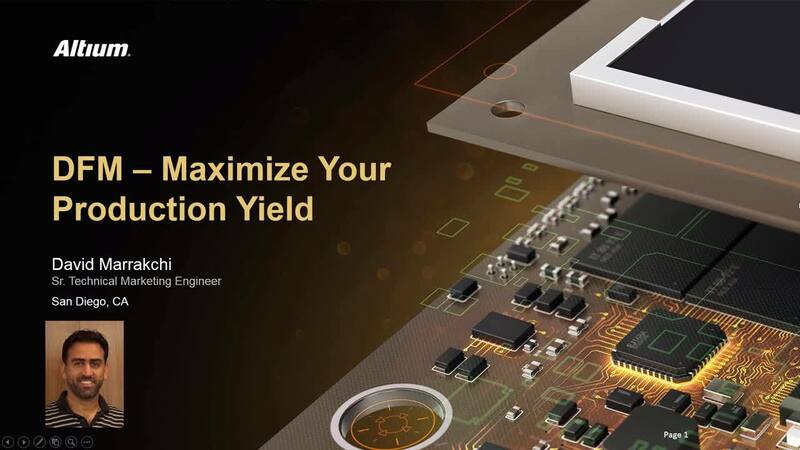 Altium Designer has been built from the ground up as a powerful, single-application electronics development environment that contains all the advanced design tools you’ll need to complete your design project. ActiveBOM provides you with automation by supplying part information such as availability and price from selected suppliers, so there are never any surprises. Get an introduction to Design for Manufacturing with fundamental tips that will help you prepare your boards for successful manufacture. Ensure your product is manufactured properly the first time by implementing a complete and accurate PCB documentation package. Maximize your chances of manufacturing a reliable, high-quality board by incorporating DFM to design beyond your digital domain. Easily leverage a huge array of ready-made IPC compliant components and save time creating IPC compliant footprints with Altium Designer. 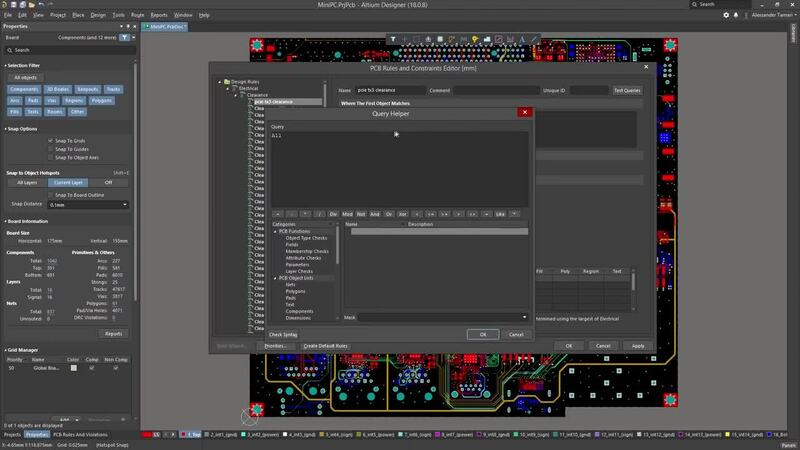 Simplify your PCB documentation with powerful automation that streamlines every aspect of your workflow in Altium Designer. Secure your boards during manufacturing and significantly lower production costs by panelizing your designs in Altium Designer. Easily define your design requirements by applying design rules to cover every aspect of your PCB in Altium Designer. 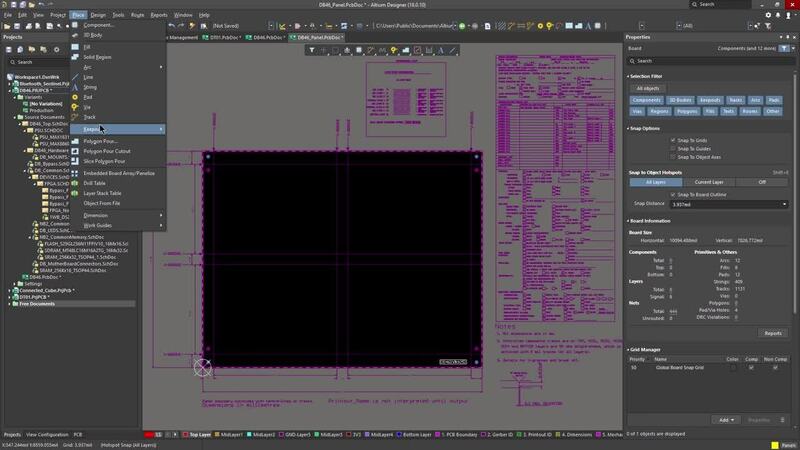 Meet your design documentation standards effortlessly by utilizing Draftsman templates directly within your Altium Designer workspace. Find and resolve design violations easily with automated rule checking that ensures target objects remain within design specifications. Learn how to quickly create a high pin count schematic symbol from a pinout file or datasheet you can easily find online. 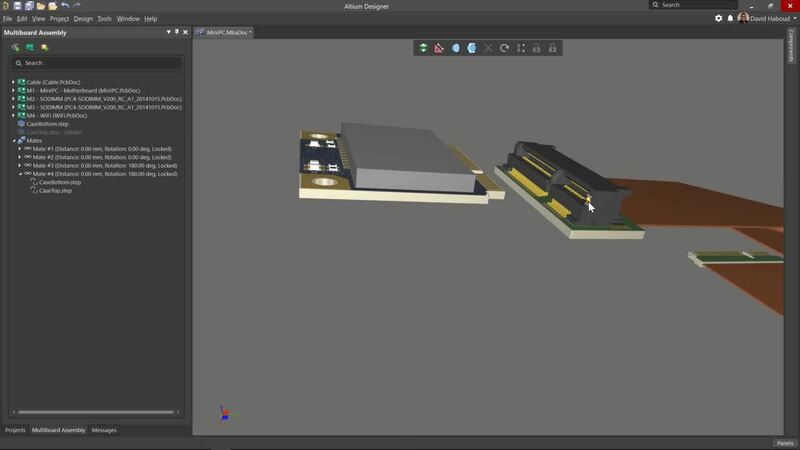 Migrate and leverage your old libraries and designs into Altium Designer with a versatile importer that can translate most design projects from various ECAD tools. In order to support advanced PCB lamination structures, a new layer stack manager has been developed, which provides the ability to create multiple layer stacks within a single PCB design. This facilitates both embedded components as well as creation of rigid-flex circuits. Having more than one PCB Layer Stack only works if a Designer can show physical areas on the Board for each. Altium Designer utilized its unique viewing mode - Board Planning Mode - for just this. What would a flexible region be if it couldn’t bend? Included with Altium Designer is the Rigid-Flex toolset. Bending Lines give you the power to create dynamic flexible regions. Even better, folding and unfolding can be done in 3D space, letting you see exactly what the finished product will look like. Design Rules enable you to define your design requirements while collectively covering every aspect of your design. Design the highest quality PCB layouts in a fraction of the time with Altium Designer's advanced routing engine that includes several powerful routing options such as walk around, push, hug and push, ignore obstacle, push and shove, and differential pairs. Quickly create and design complex high-speed signal classes for specific applications with your preferred memory topology and easily optimize your critical signals. Use the intuitive alignment system in Altium Designer to quickly snap objects into alignment in relation to either the boundaries or pads of nearby objects. Push and shove components into tight spaces all while complying with your design rules. Simplify any complex or multichannel design into manageable logical chunks with Altium Designer Hierarchical Design tools. Altium Designer gives you the power to effortlessly create multichannel and hierarchical designs. Simplify complex designs into something visually pleasing and easy to follow. Design starts from the schematic which is why Altium Designer allows you to define high-tech interfaces and their constraints all from the schematic editor. Catch any mistakes in your design early on during the schematic capture phase with Altium Designer electrical rule check (ERC). Create real, purchasable components from generic symbols and footprints or search through hundreds of thousands of parts to find and place the exact component you need. Altium Designer empowers you with a controlled and automated design release process that ensures your documentation is easily generated, complete, and well-communicated. Generate and release your complete design in a simple, easily communicated package with reusable batch outputs in Altium Designer. Easily define a panel of the same or different board designs within your PCB editor and lower your production cost. 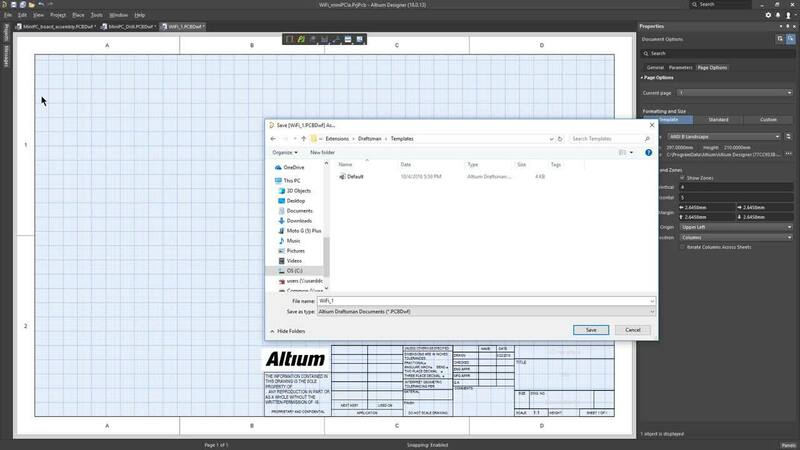 Create fabrication and assembly drawings within the Altium Designer unified environment, keeping all your documentation in sync with your design. Check out some of the new and exciting features coming soon to Altium Designer! Change thermal connection styles for pads and vias on the fly. 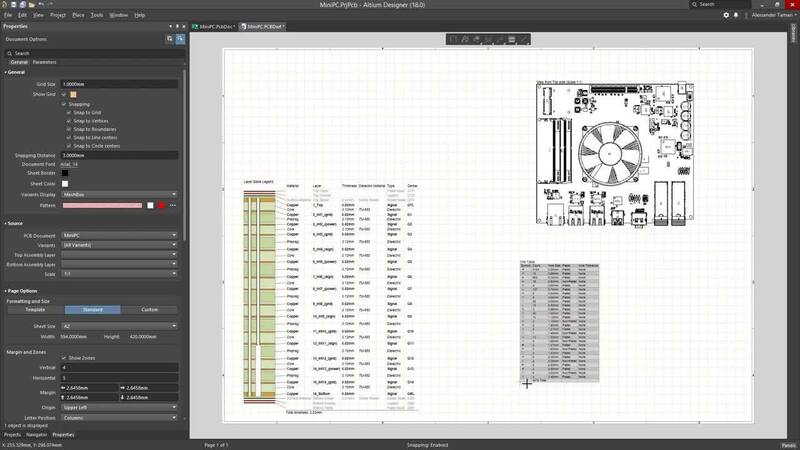 Improved features in Draftsman make it even easier to create your PCB fabrication and assembly drawings. Organize your design exactly as you want with no layer restrictions. 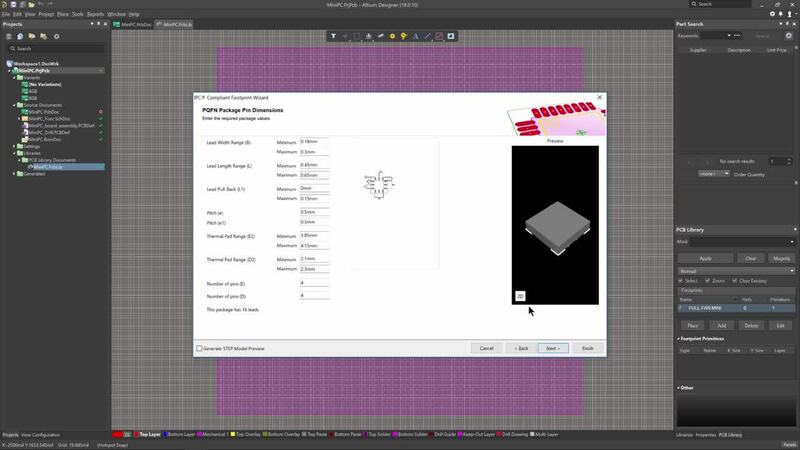 Explore how Altium Designer makes it easy to define the materials in your layer stack. Discover how to easily route both rigid and flex designs by following the contours of your board. Move components on your board without having to reroute them. The layer stack manager has been completely updated and reworked including impedence calculations, materials library, and more. Manage multiple impedance profiles for stripline, microstrip, single or differential pairs. The Altium Designer routing engine actively stops the creation of acute angles when routing, as well as unnecessary loops. Altium Designer ensures that your differential pairs are coupled together whether you’re entering or leaving a pad or just navigating around obstacles on your board. The post route glossing functionality maintains the professional integrity of your traces, all while adhearing to your design rules. Directly place and migrate electronic parts that meet design, availability, and cost requirements with global parametric supplier search. Altium Designer's support of Printed Electronics stackup design gives designers new options with clear advantages! Logically combine multiple PCB design projects into a physical system assembly to ensure form, function, and fit with no collisions. Download the latest in PCB design software. Try it for yourself with our free hands-on workshops. Find the perfect solutions for your needs.